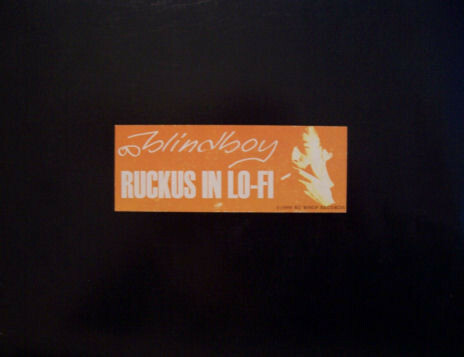 It’s one of the most atmospheric and soulful downbeat bombs of the late 1990s, I Dream’s Blindboy has legendary status among the Balearic community following Mark Seven’s selecting of the classic on his Claremont 56 Originals compilation in 2009 – it is now being reissued thanks to Archeo Recordings. This grail of the Balearic scene featured on Ruckus In Lo-Fi, a Swedish hip-hop album released in 1999. The Blindboy Revisited 12″ will also come with a remix of I Dream thanks to UK based producer Joe Morris. Joe has been making waves of late for labels such as Balearic Social and Is It Balearic and has been a bubbling star producer of the Leeds scene. His Wolves of Asha Mix takes things into even deeper territory. Regular visitors to the blog and listeners of World Treasures Music will know how fond we are of Archeo Recordings and have spoken in-depth to Manu before. All releases are fully licensed and remastered in their original form. This is the ninth Archeo release and the first 100 come in orange marble coloured vinyl. (24) Haile M. Ghiorgis – Man Biye?